Capturing something means creating your identity, which symbolizes your presence. When a photographer captures the things which are overlooked and not demanded by the general public are then only preferred to be the art works for the purpose of decorum for their houses. Indications get inclined towards giving life to the neglected. For a photographer it’s not only about colors or objects in particular but what matters from the wider perspective is the whole subject. Similarly our lives throw situations upon us, which puts us forward to care for the world as the whole. Despite judging human race, it’s more a matter of extending a helping hand to the needy like Tibetan Refugees, whom I helped throughout in weaving the coat materials and also sieving the food grains. It was an immense pleasure for me. It filled my heart to the core during those days. It was intellectually engaging and an eye-opening learning experience for me. Those days made me realize the actual value of life. That is, the place where life truly prevails and humans interact. I observed a very silent atmosphere which pushed me to think that people care for each other and so a new habitat for them inexistence. Thank You Indian Award For Young People for showering this opportunity on me. The Cathedral & John Connon School, Mumbai, a YES Centre, organized a 3-day adventure journey to Matheran on 21st 22nd and 23rd September for fifty-four awardees, including 37 Silver and 17 Bronze level Awardees. Matheran is the smallest hill station in India, located on the Western Ghats Range, 90 km from Mumbai. The Silver Awardees, accompanied by teachers, trekked down a near vertical cliff to reach a village named Hatta Chi Patti. Before returning to the base camp, a session on mountain manners was conducted for the awardees at the Hanuman Temple located in the village. The Bronze and Silver Awardees engaged in various activities like- rappelling, jummering, valley crossing, commando obstacle course, spread over three days. Sessions on rope knots and tent pitching were also conducted. A two day YES Training Workshop was organized at Ansal University, Gurgaon on 21 and 22 of September 2012. This workshop was a joint venture taken by Ansal University as a YES Partner and the National Award Authority (NAA) which runs the Duke of Edinburgh Award known as the International Award for Young People in India. The workshop spread over two days was organized for training and developing mentors and volunteers to augment their potential as Award Leaders with enhanced skills and to help in exponential growth of the Award Programme in India. Therefore, this workshop also gave an opportunity to the Award Leaders and Managers to engage and network in further social commitments together. The workshop spread over two days comprised various theoretical and practical sessions for the participants and unfolded many challenges and opportunities, interesting lessons and exciting activities for all the participants, mentors, volunteers and leaders alike. The participants were introduced to the Philosophy and the Frame work of the (IAYP) Award. The four sections of the Award .i.e. Service, Skill, Physical Recreation and Adventurous Journey, were very effectively explained with the plethora of activities. This also provided a hands-on learning experience to all the participants. What is a YES model? How to effectively run the Award? What is the Brand Pack? What is the role of a volunteer and an Award Leader? All these questions were very effectively answered at the end of the workshop. 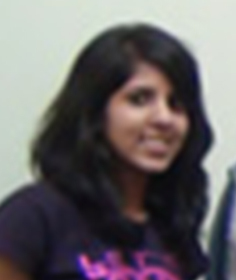 Somya﻿ joined as an Award Volunteer in August 2012 and is a very enthusiastic member of the National Programme team. She plays the crucial role of maintaining the Award participants' database and has also helped organize the recently held YES workshop in New Delhi. Somya has been associated with the National Office as a volunteer since December 2011 and has exhibited focussed dedication and team leadership. A third year History Honours student from the Lady Shri Ram College for Women, University of Delhi, Somya completed The Bronze Level of The Award in 2006 from Welham Girls' School, Dehra Dun and is currently working as an Intern and pursuing The Gold Level. We appreciate the energy and the professionalism that Somya brings to the National Office. Vivek Gaur, Member National Training Panel (IAYP, India) had conducted a Award orientation training for Goal Mumbai team on 1st Sept'12. In total 7 Goal Mumbai staff attended this orientation training. Vivek explained the Award Philosophy and Framework through interactive sessions and the doubts of the participants about Mapping the Award activities were subsequently clarified by him. At the end of the programme, the Goal team felt confident to help all the Goal Mumbai Award participants to begin & complete their Award journey successfully. The Goal team who attended this orientation programme decided to help the award participants from Mumbai by helping them to plan and choose their activities as per their interest by "Planing your Award" exercise. Thanks Vivek for your initiative! Cambridge International School, Phagwara, a YES Centre, organized a one day workshop at Cambridge International School, Amritsar on 1st September. The workshop was conducted by Manju Verma, Award leader for the school along with four Bronze Award Holders, Parhesh Kumar, Bhuvi Bhandhari, Rupinderjit Kaur and Navish Gupta under the guidance of Mr. Jorawar Singh, Principal, Cambridge International School, Phagwara. The workshop was enthusiastically attended by the staff and the students of the school. The workshop successfully equipped teachers about the Award Programme, its operational and licensing principles and charting a work plan for its various levels. The workshop began with an ice breaking activity in which the school was familiarized with the IAYP followed by a series of interactive activities and games conducted by the award holders. Different levels of the awards were explained by the award holders themselves. They also shared their experiences and pleasures of being associated with the prestigious award. Much appreciation goes to Mrs.Sunita Babu, Principal, CIS, Amritsar for her enthusiasm and invaluable time to Promote, Preserve and Provide the Award Programme in her School. Message from the Asia Pacific Regional Office Welcome to the September 2012 edition of Asia Pacific e-Newsletter. This past month has been exciting with the inaugural Global Award Holders' Network (GAHN) workshop held in Singapore, the International Award Foundation's participation at the 18th Conference of Commonwealth Education Ministers (18th CCEM) in Mauritius and at the Olympic Games, a One Award Alliance pilot project visit to Korea and a joint training event with the Pacific Youth Council. We also preview Award involvement in International Youth Day, Diamond Jubilee Celebrations, APEC Leaders Week 2012, progress of the online record book and training projects along with stories from New Zealand and Timor-Leste. In the past month we have welcomed Kathleen Hewitt who commenced in the new post of Regional Communications, Development & Events Coordinator and Francelline (France) Jimenez as Development Officer, Philippines. We say farewell and recognise the services of Senerath Kahandaliyanage as the outgoing Chairman in Sri Lanka and Sayed M.A Karim from the Bangladesh Award. Inaugural GAHN workshop, Singapore A successful inaugural Gold Award Holders' Network (GAHN) leadership and capacity building workshop was held at the National Community Leadership Institute in Singapore from 16 to 20 August, kindly hosted by the National Youth Achievement Award (NYAA) Council of Singapore and supported by the NYAA Gold Award Holders' Association (GAHA). The workshop brought together youth delegates from the Africa, Americas, EMAS and Asia Pacific regions to participate in dialogue on 'Servant Leadership', interact with Ministers, MPs and youth leaders and discuss tangible and strategic contributions towards the future development of the GAHN. The youth delegates focused on ways to further establish the GAHN by delivering outcomes on how to create future award network opportunities and alumni networks, engage awardees in Life after Gold community activities and advocacy projects and strengthen relationships between Gold Award Holder Associations and NAAs. Download the special report. A full report will be available in October. Regional Communications, Development & Events Coordinator Kathleen Hewitt (pictured on left with Katie Hulmes) has joined the Asia Pacific office as the new Regional Communications, Development & Events Coordinator from 6 August. She has previously held project officer and administrative positions in a range of industries including with the Australian Award (NSW Division). Of her new role Kathleen says, "My first month with the Award family has been a whirlwind of a ride! From Sydney, to Singapore to the Solomon Islands, I have had the opportunity to meet with awardees, operators, volunteers, supporters and staff across the regions. I have been blown away by the passion, enthusiasm and dedication from all stakeholders to ensure the Award is available to all". 18CCEM Youth Forum: Be The Change, Mauritius The Conference of the Commonwealth Education Ministers (CCEM) is held every three years with the 18th CCEM and a parallel four-day Youth Forum taking place from 28–31 August 2012 in Pailles, Mauritius. The Minister of Youth and Sports for Mauritius delivered the keynote address and recognised the youth forum theme 'Be the Change' as befitting the aspirations of any country which relies on its youth to showcase their creativity and skills and get involved in the designing and making of public policies. The International Award Foundation (IAF) was represented by Executive Director: Programme Cristal de Saldanha (pictured) and Africa Regional Director Edwin Kimani. Award holders from Uganda, Mauritius and Singapore attended along with Vanuatu Gold participant and deputy chair of the Pan-Commonwealth Youth Caucus Rebecca Solomon. One Award Alliance pilot project, Korea As part of the global One Award Alliance (OAA) project, a visit was made by Alliance Project Director Steve De Wint and Regional Director Sue Walker to Seoul, Korea, from 12–16 August 2012. The OAA is the strategy for improving and growing the International Award. The project is scheduled for completion in May 2013. At that point, the changes will be implemented as part of the new strategy for the Award. Currently the new ‘tools’ are on trial with various selected countries and all the changes will be presented at Forum 2012 in Malta. Korea Youth Work Agency is helping the IAF to run a trial of the new standards and the new quality assurance process. Online record book pilot workshop, Canada A very successful and encouraging review of the first working prototype of the international online record book has just been concluded as part of a week's planning session hold in Toronto, Canada. The online record book pilot country workshop provided valuable feedback which will be used to finalise the prototype and then enable the terms and conditions regarding rolling out to National Award Authorities to be determined. The Australian and New Zealand NAAs were represented by Peter Kaye, Kevin Plant and Cindy Naresh. Read more on the online record book and how it is helping the Canadian Award to better understand participants and leaders. Welcome Philippines Development Officer France Jimenez has commenced as Development Officer Philippines based in Manila from 28 August 2012. France is a youth and cultural worker who has worked with various initiatives and projects in the Philippines. Previously France worked in research and corporate communications for five years. She studied Political Science in the University of the Philippines Diliman and says of her new role, "I am excited to connect with more young leaders around the world, as well as find more young people in my country who would willingly step up and do their share in shaping our country to what we want it to be. I believe the Award will provide them with the agency to do just that". Award Holders at the London 2012 Olympic and Paralympic Games From athletes competing to Olympic flame carriers, congratulations to all Award participants and holdersinvolved in the recent London 2012 Olympic and Paralympics Games. Among the competitors in the Olympic Games was weightlifter Helena Wong, an NYAA Gold Award holder from Singapore. Helena competed in the female 53kg weight class and placed 15th. Gold Award holder Henry Wanyoike is blind and representing Kenya in the Paralympics marathon racing. After participating in the Award at a technical school for the blind and striving to achieve his Gold Award over 18 months, Henry realised he could become a role model for his community. Read Henry's remarkable story on the International Award website. The United Nations (UN) International Youth Day is celebrated on 12 August each year to recognise efforts of the world's youth in enhancing global society. It also aims to promote ways to engage them in becoming more actively involved in making positive contributions to their communities. The 2012 theme was 'Building a better world, partnering with youth'. Vanuatu marked the occasion with the first local Award leader training, a follow-up to the recent training for trainers in Fiji. Twenty-one young people and youth leaders attended. They will work with a group of youth and be mentored by Vanuatu National Youth Council and Award leaders Rebecca Solomon and Joe Kalo. Tell us what you think of our newsletter by emailing us. To build the capacity of Pacific countries to deliver the International Award, Regional Programme Manager Rob Oliphant recently conducted a pilot Youth Training Youth–Training for Trainers (YTY–T4T) workshop at the Pacific Theological College in Suva, Fiji, on16–18 July in partnership with the Pacific Youth Council (PYC). There were eight Pacific Island nations represented at this workshop. Since returning to their home countries, these enthusiastic Award leaders have delivered Award workshops in Vanuatu, Tonga, Cook Islands, Marshall Islands and the Solomon Islands. A follow-up is planned in 2013 and a new Pacific Award Network has been established. The NYAA Singapore and International Award for Young People, Solomon Islands will engage in events as part of the Diamond Jubilee celebrations and royal visit in September 2012. Our thanks to regional partner the Commonwealth Youth Programme Pacific Centre based in Honiara for the collaboration on two major youth events in the Solomon Islands. A week-long Commonwealth Pacific Youth Leadership and Integrity Conference will commence on 15 September and a Gold Award ceremony will be held on 17 September. Award Leader training will also be co-facilitated by Valeriano Kwany, Theresa Keninakua and Harry James with Peter Kaye at CYP on 18 September. The Asia Pacific Economic Cooperation (APEC) Leaders Week will be held in Vladivostok, Russia from 2–9 September. The NYAA Council of Singapore will lead a 25-member delegation comprising youth leaders from 11 APEC Member Economies to the APEC Youth Summit from 2–4 September, APEC SME Summit from 5–6 September and APEC CEO Summit from 7–9 September. The APEC CEO Summit will be opened by H.E. Vladimir Putin, President of Russia Federation on 7 September at the Far Eastern Federal University in Russky Island. The Australian delegation comprises Hannah Glass (pictured), Anania Tarago and Byron Hewson. Ba Futura, as an Independent Operator, has been actively encouraging young people in Timor-Leste to participate in the International Award since 2010. There are now over 80 young people undertaking their Awards. In 2012 Ba Futura is engaged in a Peace Promotion Project, which is an extension of peace on conflict resolutions projects funded by the German Institute of Foreign Affairs. Over a one-year period the project will focus on empowering two groups of twenty at-risk youth as agents for peace. They will also have the opportunity to engage in the Award. Our thanks to Ba Futura for sharing updates on the latest Adventurous Journey activity to Balibo and Aileu (pictured). The Asia Pacific region team congratulates Sean Edwards from New Zealand whose inspirational storyhas been showcased as part of the Peter Cruddas Initiative which recognises Award participants who have used the Award to change people's lives. At the age of 11, Sean lost his sight in a medical accident. Initially he found this very hard to come to come to terms with, but then determined to strive to not let it affect his life.Sean started playing goalball – a team sport for visually impaired athletes – and continued for the Physical Recreation section of his Duke of Edinburgh's Hillary Award. He then set up Project Vision Challenge as part of his Silver Award. The development of an Online Award Leader Training(OALT) system is set to revolutionise the running of the Award. A pilot of modules 1 to 4 will commence at the end of September, using the month of October for users to test the system. A survey has been designed and will be available on Survey Monkey for testers to provide feedback. A number of NAAs, IOs and Regional Training Panel members from across the region will participate in the process. During November feedback and data will be gathered prior to the launch at Forum 2012, Malta. The OALT working party team will meet in London after the Forum to design modules 5 to 12. Read more on the OALT pilot project in Kenya. Australian Reception at Government House As part of their 50th Anniversary celebrations, The Duke of Edinburgh’s Award in Australia held a reception at Government House, Sydney on 14 August to recognise long-serving Award volunteers including former National Chairman, The Hon. Larry Anthony and the recently launched Australian Alumni organisation. Hosted by H.E. Professor Marie Bashir, Governor of New South Wales, each volunteer was presented with a plaque commemorating their service. The newly appointed National Chairman, The Hon. Shane Stone gave an address highlighting the Award’s vision: that all young Australians have the opportunity to explore their potential and be recognised for that. The profound effect on local communities was reflected by Michael Marino. Leadership and Value: Girl Guides Annual Lunch The Australian and regional teams joined supporters for the annual Girl Guides NSW & ACT Lunch 2012 at Parliament House Sydney on 30 August. Guest speaker Deputy Commissioner Catherine Burn from the NSW Police Force highlighted the importance of leadership and values, and shared her experience in leading the changing of culture in a workforce of 20,000 staff. She emphasised that it is not the business plan or KPIs but sense of pride and passion that have been instilled and driven new customer service impacts. Guides State Commissioner Belinda Allen provided an update on a year of change including a new promise for the Guides in Australia. The Asia Pacific regional office will be delivering an Award leader training workshop for new leaders on Tuesday 18 September at the Canadian International School in Beijing. Additional Training for Trainers (T4T) workshops for experienced Award leaders will be held at the Western Academy of Beijing on 21–23 September, in Dhaka on the 5–7 October and at the Smak 1 BPK Penabur Tanjung Duren School in Jakarta on the 19–21 October. For further information regarding these workshops please contact Rob Oliphant, Regional Programme Manager at the regional office.